Commercial pressures within the hydrocarbon processing industry mean that operating refineries and other installations demand high reliability and efficient operation as well as close control of capital costs. SKF has long experience in serving this market, from installations to maintenance and upgrades. The critical balancebetween supply and demand in refinery capacity, for example, has become increasingly narrow over the years, at the same time that the importance of providing an extremely high level of ser-vice is growing. This covers not only the supply of basic spare parts, but also the provision of retrofits and the redesign of critical rotating process equipment to create higher levels of reliability. SKF provides a wide range of products and services to the hydrocarbon processing industry (HPI) plants and oil & gas field installations – from rolling bearing products and lubrication to condition monitoring equipment and related services and analysis. Serving this market requires close involvement with end users and process system suppliers as well as original equipment manufacturers, SKF Authorized Distribu-tors and other partners in order to provide highly reliable solutions with low capital expenditure for the end user. SKF can tailor appropriate retrofits based on its extensive engineering platform for rotary machinery equipment (fig. 2). In addition, significantly improved reliability and performance of bearings can be achieved by using more advanced bearing material solutions such as hybrid bearings (bearings with ceramic rolling elements), super-tough stainless steels, NoWear low- friction coatings, INSOCOAT electrical insulating coating, anti-corrosive coatings and various state-of-the-art cage materials such as polyetheretherketone (PEEK) or single piece, machined, stress free, brass cages. Such tailored bearing solutions can withstand or prevent general corrosion, stress corrosion, lubrication deterioration, product media lubrication, wear, particle denting, electric erosion, seizures and secondary damage to housings and rotors. 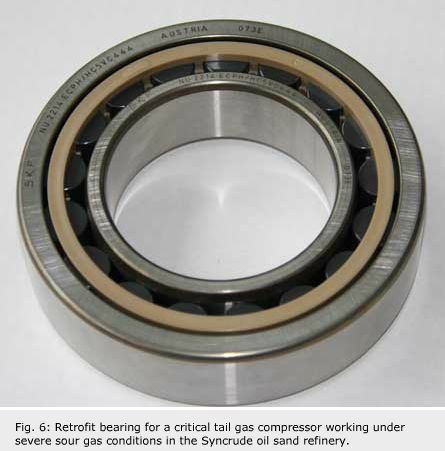 Retrofitting rotating shaft systems within the hydrocarbon process industry with new advanced rolling bearings is often driven by the need to increase reliability, availability and safety of the processes, combined with close control of capital expenditure for new or improved process installations. Bad actors retrofits – This typically involves addressing issues related to one or a few installations that are responsible for significant production losses, either from downtime or frequent failures, or causing high emission penalties such as in critical tail gas compressors or chemical reactors. Retrofit of equipment fleet – This typic-ally involves work required in larger fleets of compressors or pumps with too short a mean time between failures (MTBF), compared with what should be possible to achieve, for example, within gas-gather-ing compressors and refinery pump installations. This causes additional maintenance costs and revenue losses and prevents skilled engineers and technicians from working on forward-looking oper-ational issues. 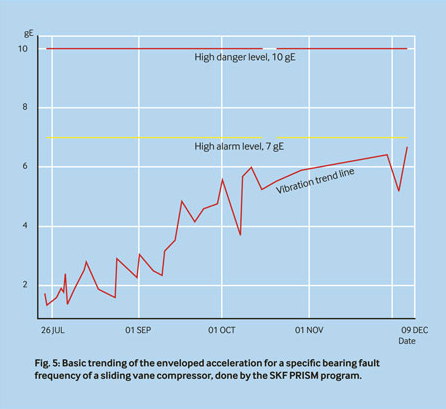 Engineering based on risk analysis – This is an opportunity to take a preventive approach to capture the risk of new critical equipment appearing on the bad actors list, such as sub-sea booster pumps and compressors. Low capital expenditure designs – This approach enables the use of lower-cost equipment by utilizing highly reliable bearings in previously unconsidered installations such as oil-flooded screw compressors with rolling bearings under an extremely high sour gas (H2S) concentration. 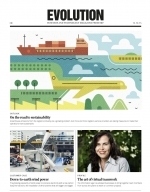 Upgrading of performance – The aim is to increase the performance and reliability of existing equipment to enable, for example, higher throughput or handling of new process conditions, such as by changing the backup unit to a second producing unit or increasing the pressure or flow in an existing design. 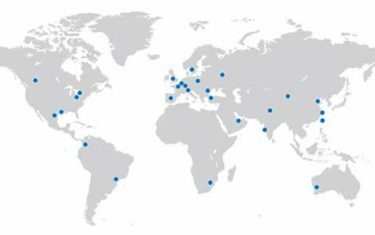 As SKF is involved in selecting, developing and supplying advanced bearing solutions to all of these cases within HPI and oil & gas extraction, it has a growing reference list. Normally the SKF Documented Solutions Program (DSP) for cost-benefit analysis is applied to make sure that customers get a high value out of such retrofits. Bearing systems usually consist of a “locating” bearing position and a “non-locating” bearing position. The locating bearing pos-ition in many cases comprises two bearings, one to take the radial loads only and one to locate the shaft and take the axial loads only. Fig. 3 shows a typical arrangement found in many common oil-flooded screw compressor arrangements. As locating bearings for high-performance compressors, pumps and electrical drives, ball bearings are typically used. These are either angular contact ball bearings in a back-to-back (O) arrangement, four-point angular contact ball bearings or deep groove ball bearings. SKF can supply these ball bearings in either normal through-hardened bearing steel or, for applications requiring high reliability, with bearing rings made of a through-hardened super-tough stainless steel. A non-locating bearing is typically a cylindrical roller bearing (fig. 3) or one or more ball bearings that are axially free in the housing. 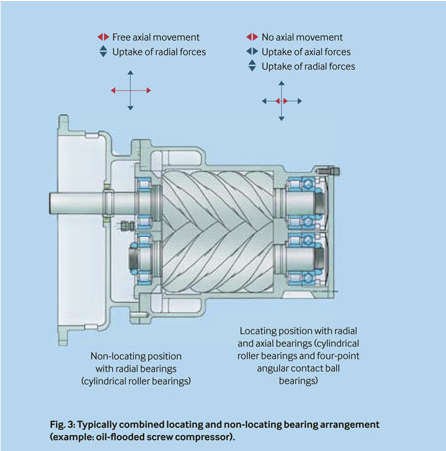 For such an arrangement, cylin- drical roller bearings with ceramic rollers can be supplied to fairly large sizes to retrofit most of the bearings used today in oil-flooded screw compressors. In some cases, because of manufacturing restraints, it is regarded as more appropriate to redesign such an arrangement with a cylindrical roller bearing, incorporating stainless steel rollers with a NoWear coating or by replacing it by a ball bearing design that is axially free. 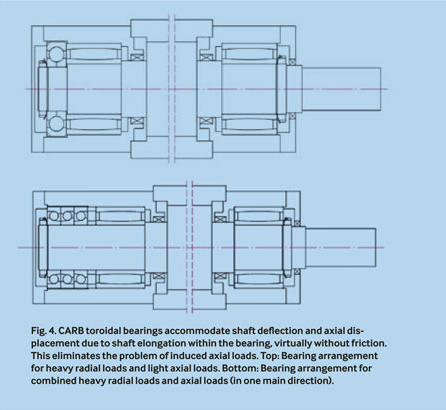 In addition, SKF invented the CARB toroidal roller bearing that can be incorp-orated in designs where shaft deflection and axial displacement due to shaft elongation need to be accommodated. CARB bearings can be supplied in a stainless steel version with NoWear coating on the rollers. An appropriate arrangement could, for example, involve two CARB bearings combined with one four-point angular contact ball bearing (fig. 4, top) or, for combined heavy axial and radial loads, a package of angular contact thrust ball bearings (fig. 4, bottom). Such arrangements could be suit-able for, for example, “between bearings” process pumps where heavy radial loads occur. For example, a group of nine heavy process pumps got an increase in MTBF of from 2,200 hours to more than 7,000 hours, which was introduced as failure-free maintenance point, by utilizing such an arrangement with conventional SKF bearings. 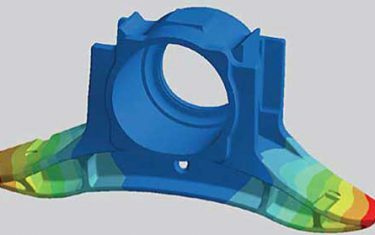 However, introducing such a design requires close cooperation with SKF to validate the design and to make sure manufacturing capability can be provided. In general, it is advisable for retrofit projects to work closely with SKF and its Authorized Distributors and the original equipment manufacturer to enable a combination of best performance, economy and supply. There also exists various radial and axial bearing arrangements with journal or tilting pad bearings, sometimes in combin-ation with rolling bearings to take up the axial forces. The introduction of super-tough stainless bearing steel will, in many cases (such as under high sour gas concentrations), enable an exchange of these cumbersome bearing designs with high-friction that have limited axial force capacity and are sensitive to dry running, to hybrid angular contact ball bearings. For cryogenic and high-temperature installations SKF has developed a specially heat-treated variant of the basic version of the super-tough stainless steel. This has increased dimensional stability over time at cryogenic and high temperatures, and increased hardness at higher temperatures. This steel has been incorporated in a specially designed SKF bearing for cryogenic pumps, which is suitable for product media running applications that handle various liquefied gases, such as petroleum (LPG), ethylene (LEG), natural gas (LNG) and hydrogen (LH2). Retrofits of continuously working cryogenic pumps (fig. 1) have shown increases in mean time between failures in excess of 300% or more, compared with what is achieved by today’s conventional all-stainless steel rolling bearings. The oil & gas and HPI industries have a multitude of applications involving rolling bearings in process equipment such as pumps, compressors and chemical reactors. The role of such equipment varies from fairly basic installations with backup units to process critical installations in extremely demanding locations with no backup pos-sible. As an example, pumps are used in fairly stable refinery conditions up to critical sub-sea booster pumps or continuously running cryogenic pumps in LNG terminals, gas plants and chemical plants. Through its reliability system group SKF has extensive knowledge about detecting upcoming problems through condition monitoring. Condition monitoring of rotary equipment can be done by signal trending in combin-ation with advanced frequency analysis with filters, etc., to enhance specific signals from bearing components or other equipment parts or processes-related signals. This type of vibration information can be used to initiate a call for service at a vibration level below the level that causes severe secondary damage to the equipment. The attached example (fig. 5) shows the vibration trending of a sliding vane compressor for naphtha gases used in a Venezuelan oil field processing plant operated jointly by Chevron and PDVSA. By monitoring the compressor, the SKF staff stationed on site could introduce service procedures before it reached a dangerous level, and thus repair could be scheduled more efficiently and repair costs could be significantly reduced. In addition, SKF makes risk analysis and conducts implementation of reliability-centered maintenance programs for process installations through its oil & gas industry active services companies. To support this work and to gain improved reliability for its customers, SKF application engineers who are dedicated to service issues perform bearing damage, lubrication and bearing arrangement analysis and give advice about mounting procedures, etc., and thus act as important partners in root-cause failure analysis and improvement programs. 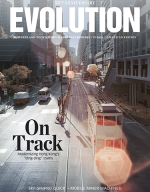 In northern Alberta, in Canada, there are several extremely large-scale developments involving oil sand extraction, upgrading and refining to sweet blends. One of the major developments in this area is the Syncrude joint venture with production in the region of 315,000 barrels per day. The heavy hydrocarbons extracted from the oil sand contain sulfur. Hydrogen cracking is applied to upgrade to lighter hydrocarbons, but this also creates hydrogen sulfide (H2S). It is of key importance to remove the hydrogen sulfide, and this is done by a water stripper. 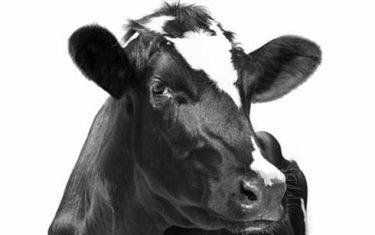 However, a tail gas remains that needs to be compressed before further treatment. In the Syncrude process, an oil-flooded screw compressor, which fits the gas flow well, handles the gas compression. This design has also many technical and economical advantages, compared with other compressor alternatives, such as reciprocating and dry screw compressors with their high initial cost, cumbersome maintenance and difficult failure modes. Due to a change of the process, the hydrogen sulfide concentration of the tail gas significantly increased to about 30% to 40%, thus starting to cause severe disturbances of the function of the screw compressor due to bearing damage by stress-cracking mechanisms of raceways and rolling elements. 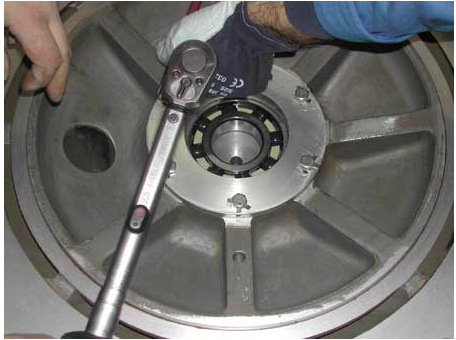 Bearing damage led to costly disturbances of the refinery due to compressor trips and failures caused by vibration trips and ultimate bearing failures. It should be noted that the sour gas case is an advanced retrofit involving a compressor installation with tailor-made bearings for the machine in duty and spares. In many other cases, it will be possible to use more readily available SKF bearing solutions (for example, SKF Explorer bearings, PumPac bearings with a 40°and 15°duplex pair, INSOCOAT electrically insulating bearings, polymeric PEEK cages etc.) for pumps, compressors and drives, or hybrid bearings with rings of conventional bearing steel or NoWear versions of standard bearings with low-friction coated rollers. In many cases, there will also be questions about introdu-cing best practice regarding service pro-cesses, procedures and maintenance tools and spare part optimization, all of which are regularly supplied by SKF on a worldwide basis. So SKF is well equipped to supply rotary machineries within the HPI and oil & gas industries with improved rolling bearing performance to meet the increasing requirements of high reliability, availability and safety.